Hello there, eP fans! Broni here, and today I wanted to show you a card I made for a dear friend who retired a few days ago (lucky lady!). I used the cool Daily Grind stamp set from Market Street Stamps because she and I both LOVE our coffee! And I can just picture her now... every morning sitting there and relaxing with her cuppa, without having to worry about hurrying off to work! The cup is colored with these Copic markers: BG000, BG01, BG02, BG05. I also used the BG05 to airbrush the circle before removing it from the die. And how do you like the background! I think I'm just totally in love with the Honeycomb background stamp, also from Market Street Stamps. I stamped it in Versamark, embossed it with clear embossing powder, and then sponged on some Fired Brick, Tumbled Glass, and Shabby Shutters ink using blending tools. I love the vibrant colors! Well, that's it for me today! I hope you like my card! I love the vibrant colours you've used on this card. The background is fabulous and so eye-catching. 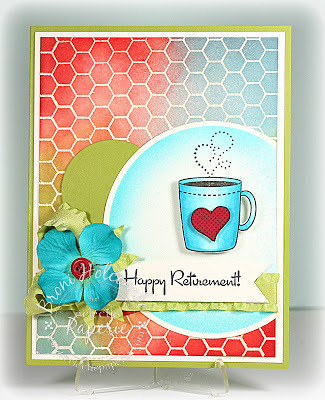 The coffee cup image is so cute and sounds just right for your friend, Amazing card to celebrate her retirement. Love this Broni! The background colors are amazing! That background looks awesome! How neat!!! A stunning warmly coloured card for a cold winter's day. It really is beautiful. HUGE coffee fan here along with the honeycomb or anything to do with bees. 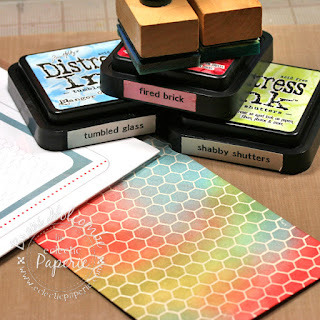 Love that cute stamp set and what you did with it. Super cute and colorful! So beautiful , love the colors, so very cheerful !! Stunning blended colours - what a fabulous card! 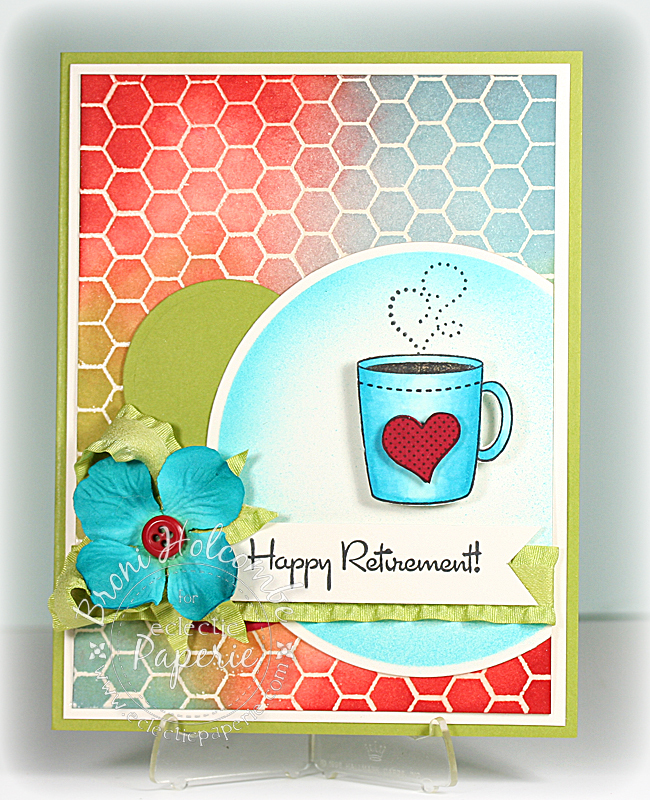 Beautiful card, Broni... love that blended background!